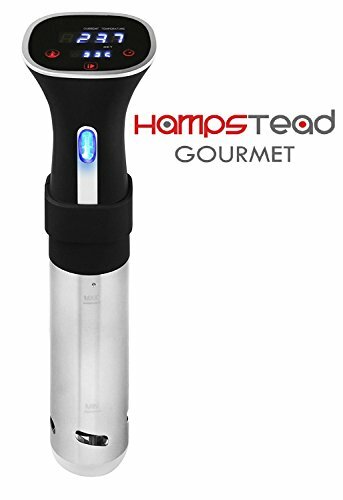 ✪ EASY TO USE AND MESS FREE: Simply ad water to your pot, place your food in a sealed sous-vide bag, clip on the circulator that is adjustable to any pot or tank you have and select your temperature. That’s it. ✪ EASY TO USE AND MESS FREE: Simply ad water to your pot, place your food in a sealed sous-vide bag, clip on the circulator that is adjustable to any pot or tank you have and select your temperature. That's it.